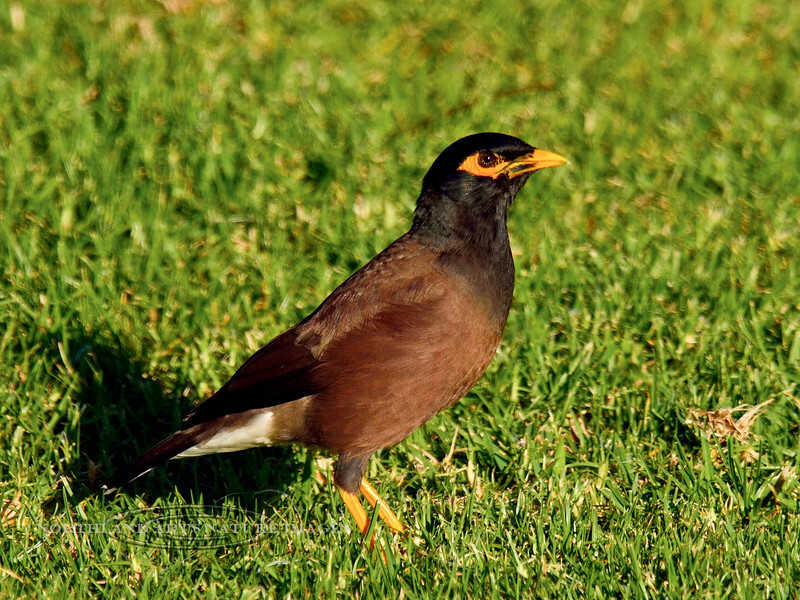 Myna, Common. An alien introduced in 1865, common most everywhere now. Saddle Road, Mauna Kea, Hawaii. #26.111.